Friday February 1st is National “Wear Red Day” to raise awareness for women’s heart health. 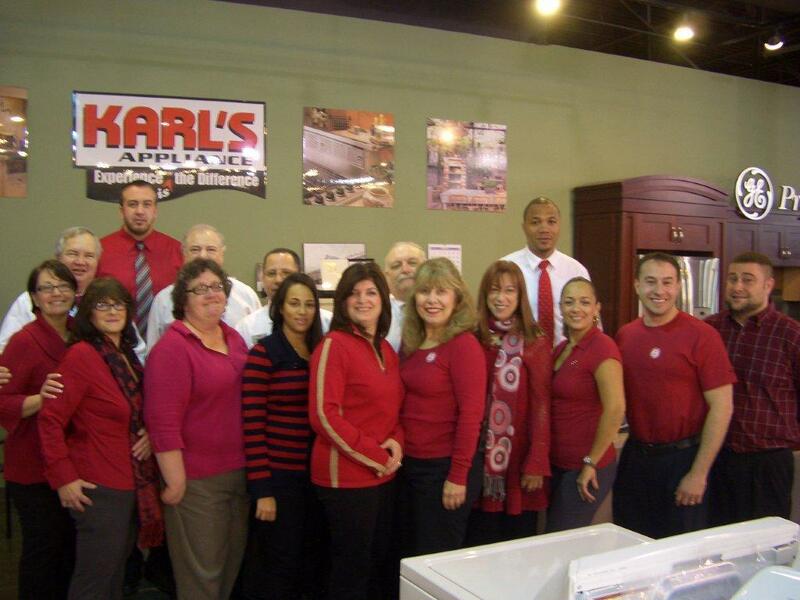 Karl’s Appliance employees showed their support by dressing in red. Photo taken in our corporate headquarters and flagship appliance store located in Fairfield, NJ. National Wear Red Day is in its 10th year and is aimed at raising awareness of heart disease, the leading killer of women. Across the country, landmarks and buildings will be dressed in the color as well. The American Heart Association estimates that the Go Red for Women campaign has already raised awareness and saved more than 627,000 lives since its inception.